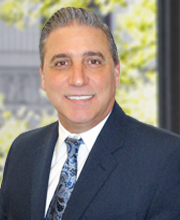 Bruce T. Lange, CPA is a partner in the firm’s Accounting and Audit Practice. He specializes in providing audit and assurance services to a wide array of industries including importers, professional practices, broker/dealers, investment partnerships and investment advisors. Bruce has over 30 years of experience and extensive knowledge of general accounting and business and individual taxation. Bruce is a member of the American Institute of Certified Public Accountants (AICPA) and the New York State Society of Certified Public Accountants (NYSSCPA).